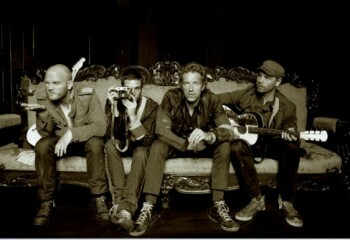 Coldplay to play MTV Movie Awards! The MTV Movie Award nominations have been announced. What’s left to wonder? How about who is performing live! The music network announced those plans this week and Coldplay fans rejoice! Chris Martin and the boys will be hitting the MTV Movie Awards stage along with a group from the other end of the musical spectrum, The Pussycat Dolls. MTV’s Movie Awards are always an interesting mix of artists since the performance time is so minimal. As opposed to the performance heavy MTV Video Awards each September, the June awards show usually only allows two or three acts to perform. Coldplay is ready to reclaim its title as the hottest band in the world. Their appearance at the awards will be the country’s first glimpse into the new music of a band who is continually challenging their own conventions. Their “Viva la Vida” is a fantastic song and SheKnows can not wait to see the group perform it live June 1. The show will be broadcast live from the Gibson Amphitheatre in Universal City in the middle of Hollywood’s TV land. Not content to go up against Coldplay in the performance department without new material, the “Don’t Cha” singers will debut their new track, “When I Grow Up” from their upcoming summer release. Last year’s show featured Rihanna with Jay-Z and Amy Winehouse. Talk about an odd combination. Wait, Coldplay and the Pussycat Dollsâ€¦don’t let it said that MTV is not diverse. Watch for SheKnows extensive coverage of the MTV Movie Awards the first week of June.